Pruning isn’t actually that hard once someone explains the basic principles but it also isn’t intuitive so I would say most people are just making their best guess on how to do it and not doing it right. I see incorrect pruning EVERYWHERE I go. It is worth doing a little bit of reading on the subject if you are interested in keeping a nice yard. Even just some basic knowledge about pruning will go far in saving you time and money in the long run. -When you think pruning don’t think just trees. Pruning refers to any kind of cutting of plants - bushes, roses, chrysanthemums, shrubs, fruit trees etc. Pruning means maintaining all of your landscape. -The purpose of pruning is to maintain the health and beauty of a plant, not necessarily to make that plant smaller. 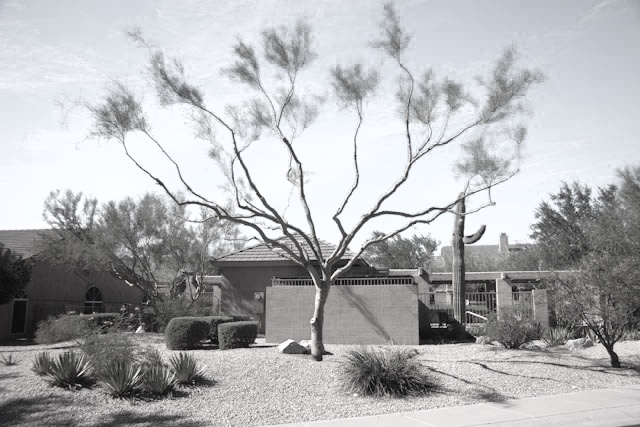 Consistent pruning from the beginning of a tree or shrub’s life can possibly reduce it in size by a quarter at most. There are exceptions to this such as some shrubs, such as roses, that can be cut all the way to the ground and then grow back from a stump. But, ultimately plants have their mature size that they want to be and even with consistent pruning they will often end at that size anyway. If you want a plant to stay smaller then it’s better to plant trees and shrubs from the beginning that will not eventually exceed the space, such as dwarf varieties. -One rule that everyone can agree on is always cut away dead wood. It doesn’t matter what time of year it is or the kind of plant. Dead wood is…well dead and the tree, shrub, vine whatever is always better off without it. Also, clean out dead leaves and junk around and below your trees and shrubs. -Pruning causes growth. When you make a fresh cut it will cause your plant to grow more vigorously. If you don’t want to spur a ton of growth, such as times when you are trying to keep the plant small, then you should prune in summer or fall. Late winter/early spring pruning will spur the most growth. - Always cut just above a node. A node is a place in the branch where a bud or a branch is growing, also called a crotch. Here’s a picture that gives kind of an overview but honestly I couldn’t find a diagram that clearly explains a node on the internet. I took a screenshot of this months ago on my phone so if anyone knows the source please let me know. I think lots of times really good garden people aren’t very good teachers so a lot of the books I found about pruning weren’t very helpful. Easily the best book I found on the subject was “Guide To Pruning 3rd Edition” by Cass Turnbull. Everyone with a yard should read the first few chapters of her book. I would highly recommend it cause she just explains exactly what you need to know in a very understandable way. -If trees are healthy and have enough space to grow they need very little pruning - just basic cutting away of dead wood and crossing branches. Fruit trees are the exception to this - they need to be pruned every year if they are going to bare good fruit. Regular shade trees, if they have enough water, good soil and sufficient space (this is important) don’t need much pruning at all, unless you want a very specific shape. Do you see the poms forming where the cuts were made? Those are called water sprouts. Another term to know is suckers. Suckers are little sprouts that grow from the base of the tree. Those should be cut away immediately any time of the year. The illustration below shows what I’m talking about. Light and air circulation is important for trees so it can be healthy for a tree to be thinned, which means out of two branches you cut the lower one in order to shape the tree. Poor tree is having a bad hair day. Also you can see his sad friend was improperly pollarded. -Don’t paint over large cuts on trees. That’s a myth that everything I have read on the subject agrees is highly discouraged. -Fruit trees are a whole different animal and need to be pruned much differently than other trees. Here is a great resource to read on how to prune fruit trees from Stark Brothers, the nursery that originally created and sold Red Delicious and Golden Delicious apples - the parent apples to many of our modern cultivars. -The best time to prune: Prune flowering shrubs and trees after they’re done blooming so that you don’t cut off all the blooms before they’ve come out and prune everything else in late winter just before the weather warms up for spring. But as I said, this is a very general rule. There are a lot of strong opinions out there about when to prune but a lot of things I’ve read say that mostly it’s okay to prune anytime with certain exceptions based on the kind of plant and what you want to do with it. Ha ha So how’s that for vague. If you have a tree or shrub that you particularly care about you should research it individually to see how it should be maintained. -Don’t shear shrubs. 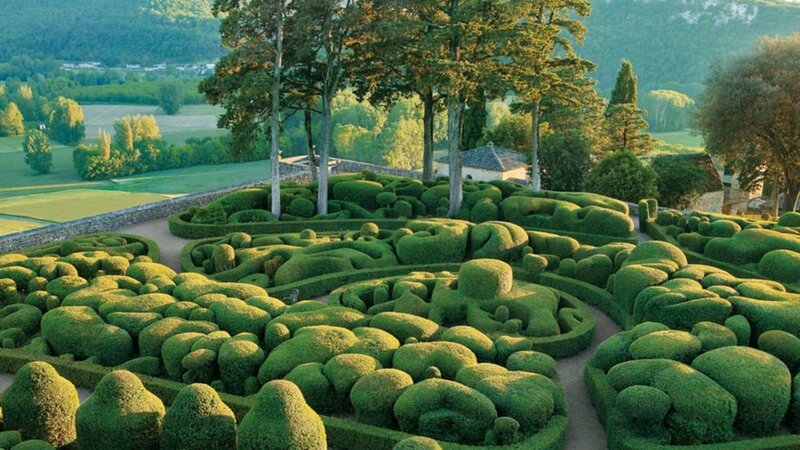 Meaning just give them a haircut straight across unless they are being used for topiary: think animals formed into bushes or little shrubs cut into a ball. I love topiary but just be aware that it is higher maintenance and just because you have a boxwood doesn’t mean you have to maintain a topiary. Evergreen (stay green all year) shrubs with tiny leaves and dense growth habit are good for topiary, such as boxwood and laurels. The simpler thing to do to maintain shrubs is to take the longer branches and follow them down inside the bush where that branch meets the main branch and snip it off there. In the below image you would grab the ends of the little branches sticking out, follow them into the center of the bush and snip them off at the main branch. The link in the image source below gives an in depth explanation about why you shouldn’t shear your bushes. The first image is a boxwood that has been sheared. The second is one that has been pruned. The 2nd boxwood will need to be snipped here and there, possibly once a year. The boxwood in the first picture will need to be sheared about once every two weeks or so. Both are good but just be aware of that. -Always cut out dead wood. It doesn’t matter what time of year or kind or plant it is you can just cut this out. It’s easier to cut out dead wood in the summer because you’ll be able to see the wood that has no leaves or needles on it. Also, clean out dead leaves and junk around and in your trees and shrubs. “Guide To Pruning 3rd Edition” by Cass Turnbull. Also if you want good tools the one thing everyone seems to agree on is that all you really need for pruning are Felco F-6 pruners and a pruning saw. The sharper the better. But if you’re not ready to stomach $65 for pruners it’s probably not the end of the world. I am in that camp though someday soon I may break down and buy them. We shall see. I’ll let you know if I find the need. Now really is a good time to go out and take a good look at your yard and evaluate what is overgrown, scaggedy and needs some love. For me, I love the feeling of cleaning everything up and then watching all the new green growth emerge when the heat comes. Pass this on to anyone you know that could use this and leave comments with any tips or questions you have. I hope this is helpful.